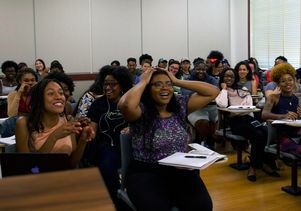 For UCLA students, Tananarive Due’s class about the “black horror aesthetic” struck an immediate chord and had a long waiting list. Sometimes a pop culture phenomenon can ignite a powerful spark of academic and social dialogue. 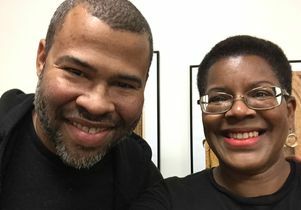 Tananarive Due, author and lecturer in UCLA’s Department of African American Studies, knew the first time she watched last year’s breakout horror film “Get Out” that it was just one of those phenomena. Written and directed by Jordan Peele, best known as the co-creator of Comedy Central’s sketch show “Key and Peele,” the relatively low-budget film was an unexpected and critically acclaimed blockbuster, bringing in more than $200 million in theatrical revenue to date and a 99 percent “fresh” rating on review aggregating site RottenTomatoes.com. It is the first film helmed by a black writer-director to earn $100 million at the box office. On Oct. 12, Peele surprised Due’s students, slipping in the back of the room while they watched a scene from his movie. After the chaos subsided, the director answered questions from the class about the powerful themes from his film that spoke to so many of them. 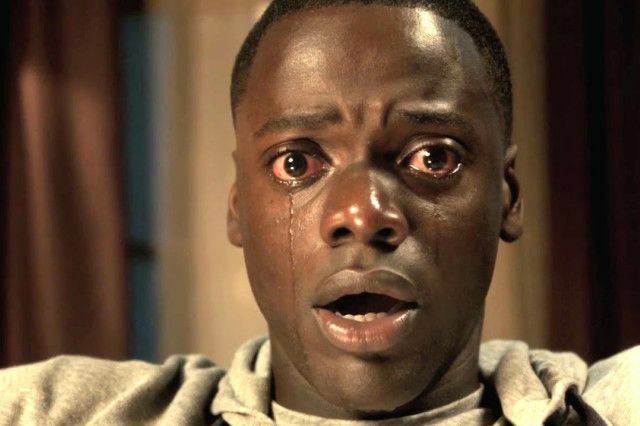 In “Get Out,” a young black man accompanies his white girlfriend on a trip to her family home, where her self-professed liberal parents welcome him with what seem to be open arms. Once there he becomes trapped in the dark reality of one family’s means of commandeering black bodies for their own horrific desires. “Peele created a space for audiences to feel empathy for the black lead character while at the same time, helping to show what some of our anxieties are as black people living as a minority in this country,” Due said. 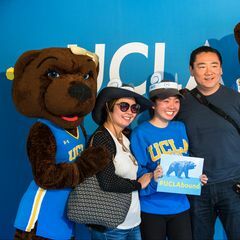 For UCLA students, the course struck an immediate chord and launched a long waiting list. 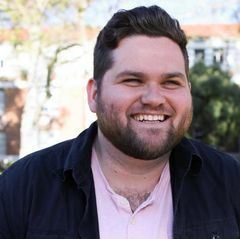 Due, who has also taught courses on Afrofuturism in the African American studies department and courses in creative writing, will offer “The Sunken Place” again in winter quarter. Students will watch a dozen films, read several books and short stories and have weekly writing assignments centered around class discussions. Due, who said she finds watching horror movies a cathartic experience and hopes her students do as well, is the daughter of a civil rights activist, and an accomplished and prolific author and screenwriter in the horror and sci-fi and Afrofuturism genres. “Anyone should jump at the chance to take a class with her. She is one of the most insightful social critics and writers of our time,” said Dani Williams-Jones, who is currently enrolled in the class and who also took Due’s Afrofuturism course. The students are shocked when actor-director Jordan Peele shows up. 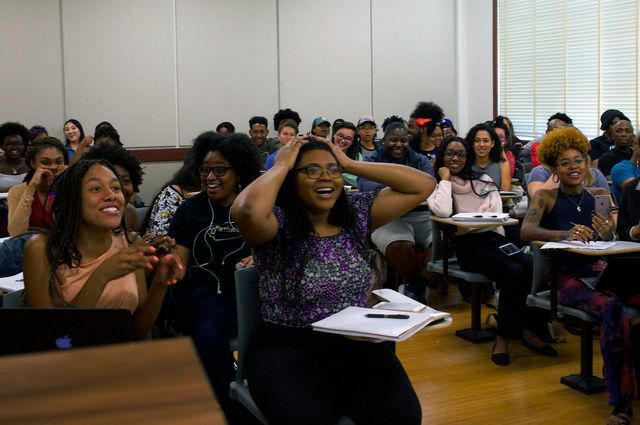 “What we are really talking about in this class and what we are always seeking as black scholars, intellectuals and activists is courageous dialogue and discourse around overcoming the horrors of the advent of the American nation-state,” she said. Williams-Jones is double majoring in History and African American Studies with an emphasis on race, ethnicity and inequality. In an interview with the New York Times around the film’s release Peele said that his process also became about instigating hope. He even changed a much darker planned ending. 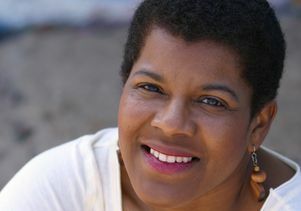 For her course, Due uses “Get Out” and Peele’s deft plotting and characters to look back at historical representations of “black monstrosity” on film, including the 1915 film “Birth of a Nation,” which set the tone for the representation of black men as monsters to be feared by white women. It was released just 50 years after the end of slavery and takes place against the backdrop of a Reconstruction-reticent South. She’s also looking at the black horror aesthetic in literature. In one of the first sessions, to set the tone for a collective viewing of “Get Out,” Due asked her students to read a little-known science fiction short story by W.E.B Du Bois titled “The Comet.” Written in 1920, just a few years after the launch of “Birth of a Nation,” the story follows what seems to be the two survivors of an apocalypse — a black man and a white woman. Du Bois uses this representation of “the greatest taboo” to dramatic effect, alternately narrating from perspective of both characters. Another powerful element of “Get Out” is the imagery and intent of “the sunken place” a method of control perpetuated through hypnotism by one of the film’s white characters against nearly all of the film’s black characters. She nudges them toward a paralytic state in what she calls “the sunken place” by preying upon their emotional insecurities, their unfulfilled dreams and their perceived failures. Once sunken to this place, their bodies cease to be their own. “As a piece of art, it is revolutionary,” said Oshundara, who is minoring in African-American Studies. Due hopes the course inspires students to have a deeper understanding of black history and the relationship between art and trauma. “And hopefully they can also take that understanding with them to be keener observers and participants in all parts of their lives,” she said. Interested in the black horror aesthetic? Here’s a selected list of viewings and readings from Due’s syllabus. 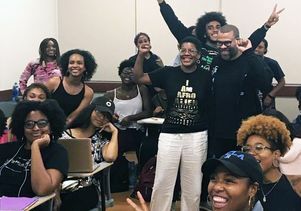 UCLA lecturer Tananarive Due and actor-director Jordan Peele pose for a photo in her class.